Constructed in 1927, this seven story, flat roofed building, with one-story wings, is situated in the “Hamilton Historic Civic Center” district, and is listed on the National Register of Historic Places. The Architectural Group was contracted to provide design services for the exterior and interior renovation and conversion of this Second Renaissance Revival style hotel from apartments to elderly housing. 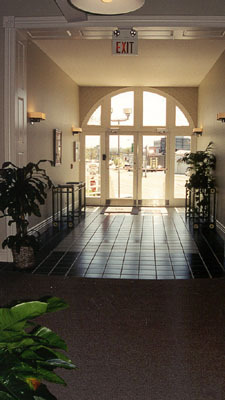 The main level of the hotel was designed to retain as much of the existing character as possible. Window units were retained and restored, and where they still existed, original ceilings were restored and repaired. The building tower was gutted to create 48 new apartments.